A two car Cravens unit stands in the Spalding platform at March with a special. Wisbech to Cambridge. 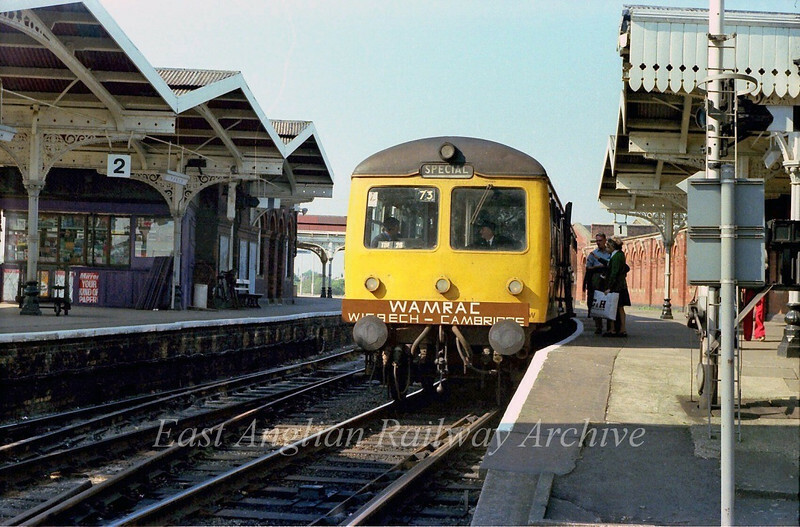 Wisbech and March Rail Action Committee. 23rd September 1978.